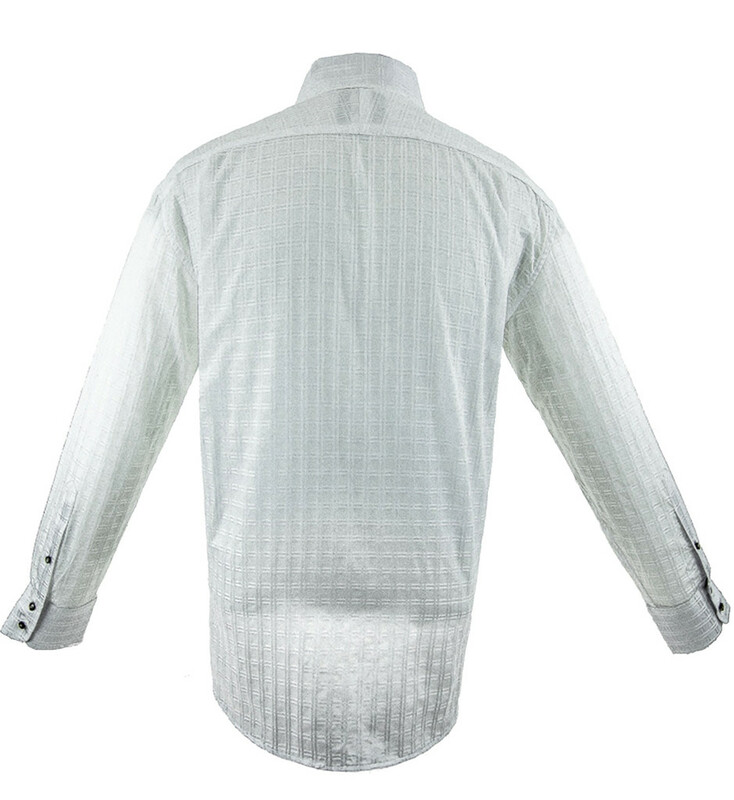 The universality of the white shirt with a unique combination of pattern design, texture, and subtlety. 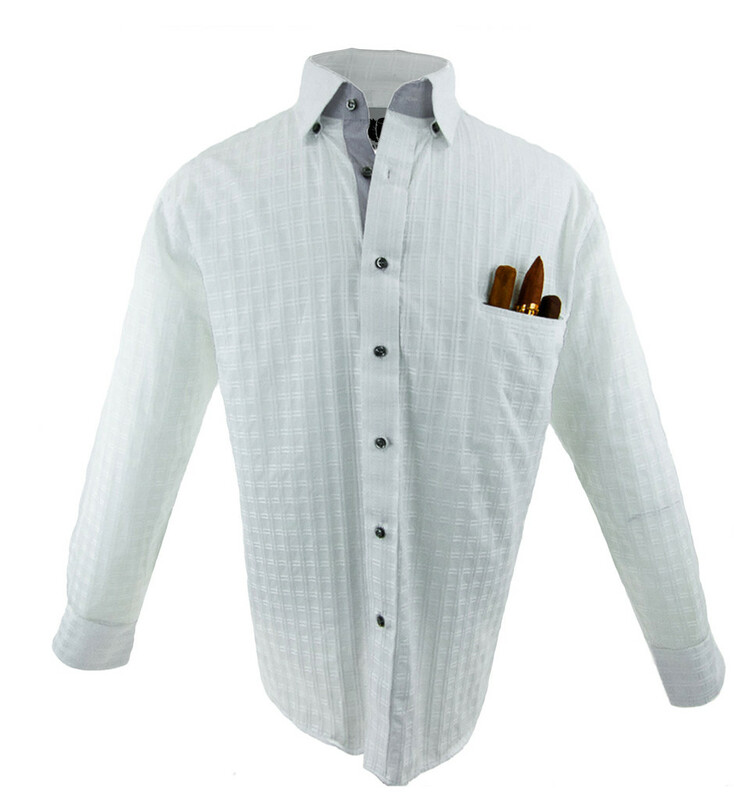 There is always a place for a white shirt in your arsenal of clothing but I was hesitant to combine the blandness of a plain white shirt with boring accents. At the same time I did not want to disrupt the inherent simplicity of a white shirt which makes it so flexible. I decided on a white on white double box design pattern but chose a ghostly light grey contrasting fabric and Gun Metal buttons. 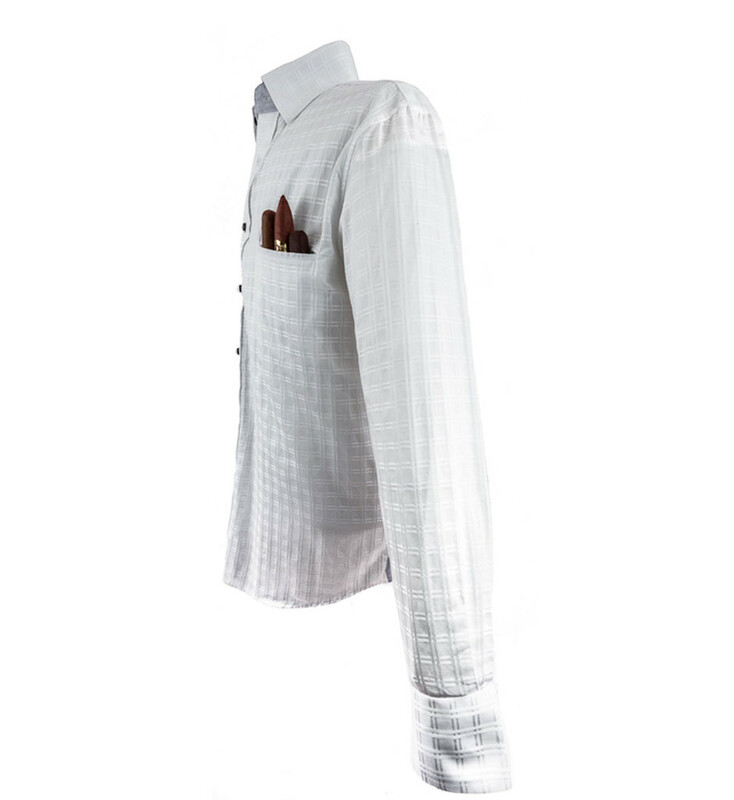 The universality of the white shirt remains intact yet this garment maintains a unique combination of pattern design, texture, and subtlety. While it can be worn with anything the Gun Metal buttons begs for a gray wool blazer, or a Black Vest with the shirt tucked. Your imagination is the only limitation of this cigar shirt. 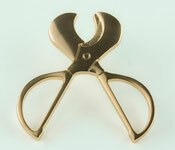 Check the sizing chart for detailed sizing information. See our Shipping and Returns Policy for full details.